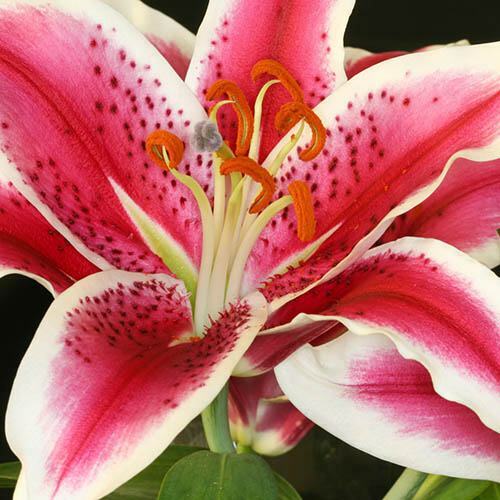 Everyone loves fresh lilies in the house, and now you can grow vasefuls of your own too. At a fraction of the cost of florist stem prices, and yet producing a flower every single year for many years to come and so easy to grow, its all done for you in our pre-programmed bulbs. 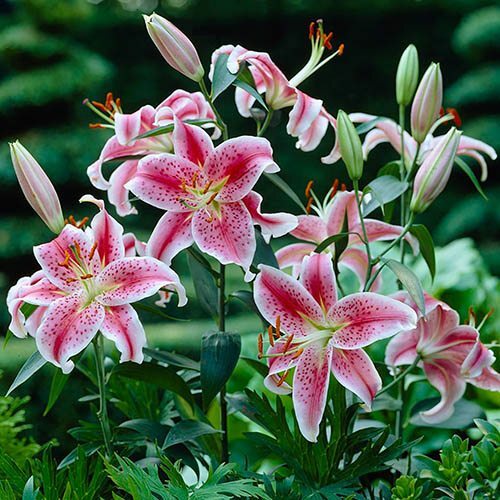 Oriental lilies have large, upward facing flowers in a pastel blend of white, pink and blush shades, as well as the ever-popular and instantly recognisable two-tone 'Stargazer', with its reddish centre. Flowering in summer at between 60 and 90cm tall, the flowers will last 3 weeks from bud break. Leave them to die back in winter, and they will flourish for many more years. 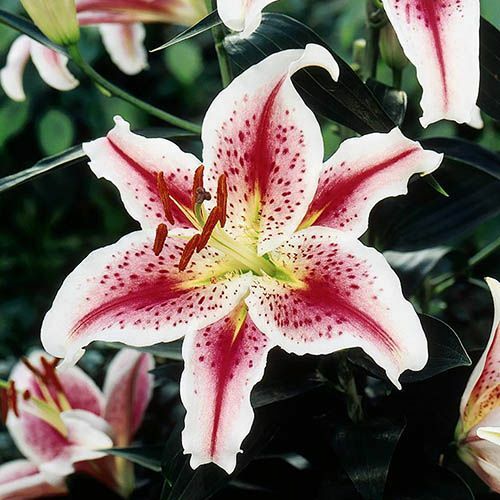 Everyone loves fresh lilies in the house, and now you can grow vasefuls of your own too. 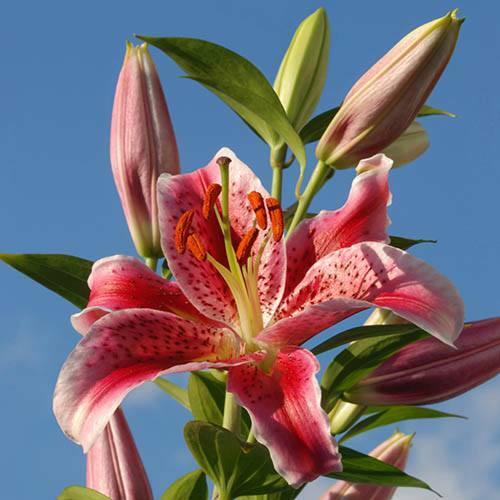 At a fraction of the cost of florist stem prices, and yet producing a flower every single year for many years to come and so easy to grow, its all done for you in our pre-programmed bulbs. 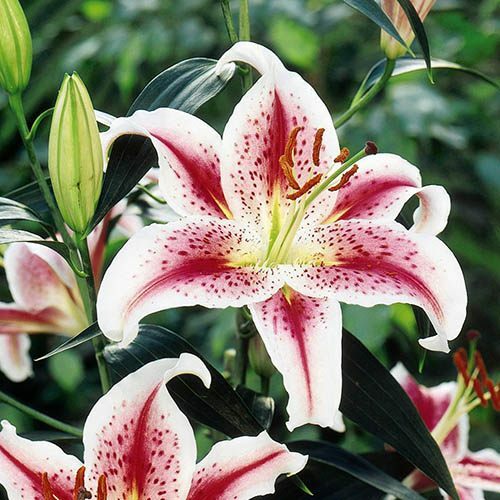 Oriental lilies have large, upward facing flowers in a pastel blend of white, pink and blush shades, as well as the ever-popular and instantly recognisable two-tone 'Stargazer', with its reddish centre.Flowering in summer at between 60 and 90cm tall, the flowers will last 3 weeks from bud break. Supplied as a set of 20 bulbs. Plant 10cm deep and 15cm apart.